Katarzyna Sobczak-Wróblewska is an independent curator, living and working in Lisbon. Her background is in Philosophy and Art Criticism, which she studied back in Poland. She has been involved in Lisbon's art scene for two years, mainly by developing projects with local artists. In the meantime, she is developing her project called Contemporary Art Tours Lisbon, which is focused on the art gallery scene in the city. Simultaneously, she is creating projects for eastern European artists with the intention of bringing them more exposure in Portugal and throughout the world. Her interest lies with visual arts, especially installation and site-specific art. 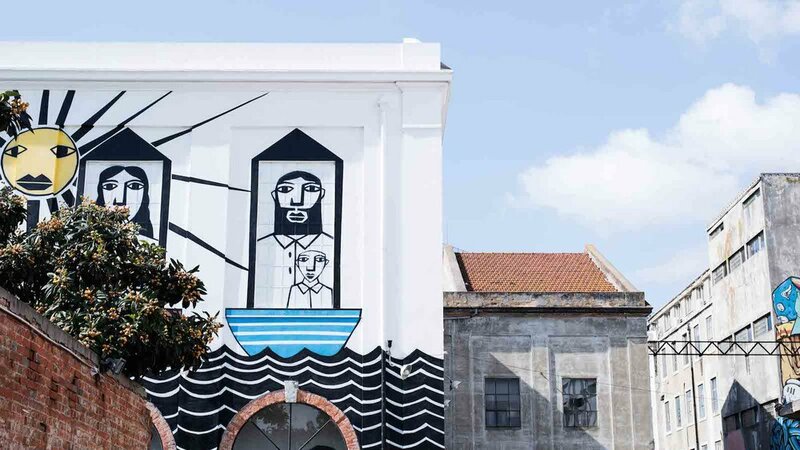 Lisbon is a city of growing importance in the world's art scene. Amidst plenty of galleries, museums and artists' studios, each art enthusiast may find something worthy of their notice. Increasing numbers of players in the city provides a variety of artistic profiles and different tiers of art galleries. Portuguese art is still not well known in the world, so now is the time to discover it. The historic background of the city, results in a mix of influences from Europe, Africa, Asia and the Americas. This multicultural mix is prominent and soon Lisbon will enjoy a significant place in the international contemporary art scene. The tours are typically around one selected area of the city - Marvila/Xabregas, São Bento / Rato / Madragoa, Bairro-Alto, Alvalade. It is also possible to mingle two areas, depending on the time of the tour and the preferences of clients. Oh So Arty tours in Lisbon visit a variety of unique art spaces. Depending on the type of tour selected you will visit galleries, artists' studios and artist-run spaces in various neighborhoods of the city. This foundation and museum is surrounded by a beautiful garden in the city center. In addition to their permanent collection, every few months the museum offers great temporary exhibitions of modern and contemporary art. A great bar with a delicious restaurant and nice concert venue. It is located in an old bakery shop in the Sao Vincente district. 3+1 is a ten year old private gallery with a promising and solid selection of represented artists. Lx Factory is a creative hub located in an old factory. It is a place full of design stores, restaurants and artists' studios. A bar on the eleventh floor of Hotel Tivoli, located on Lisbon's main avenue, Avenida Liberdade.